Lam Ching Ying (Chinese: 林正英; birth name: Lam Gun-bo 林根寶; 27 December 1952 - 8 November 1997) was a Hong Kong stuntman, actor, film producer, action director and director. A physically talented and graceful martial artist, Lam was best known for playing the stoic Taoist priest in Mr. Vampire (1985). He had a reputation for being disciplined, headstrong, restrained, and self-willed. As an actor, action choreographer, martial artist, and teacher he touched many people with his candor and uncompromising professionalism. He left behind a lasting cinematic legacy, which can be enjoyed and respected by generations all over the world. Lam died in 1997 of liver cancer. Lam Ching Ying (林正英) was born Lam Gun Bo (林根寶) on December 27, 1952 in the year of the Dragon, in Hong Kong. His family is originated from Shanghai, in the Republic Of China. Both of his parents made a living by doing catering services. Lam was the third child of six children. His family was poor, and his parents weren't educated. Lam attended Shun Yi Association Elementary School in Hong Kong, but eventually dropped out after 2 years. His father sent him to Chun Chau Drama Society to learn the Peking Opera style under the guidance of Madame Fan Fok Fa. Due to his slender and fragile body structure, Lam specialized in female roles and often performed stunt-doubling for actresses. However, he was reported as a mischievous and disobedient child. Thus, after half a year of training, Madame sent him on stage to express himself and control his drive. Lam's first show was called "White Beach", but his Beijing Opera career only lasted for 5 years. He realized that there was not much demand for opera styles anymore. Through a friend's introduction, Lam joined the film industry. At age 17, Lam became a stuntman and martial arts coach at the Shaw Brothers Studio. Due to his slender build, he was often called upon to substitute female actors. He received $HK60 a day, $HK20 of which went to his master, and another $HK20 he took home to his parents. Lam used the remaining money to treat his brothers to snacks. Lam once mentioned those were his happiest days in his life. There was a story that Lam challenged Bruce Lee in a hotel room because he didn't believe Lee was as strong as the rumors said. Lam put a pillow over his chest and stomach, then Bruce struck the pillow and sent him flying across the room. Bruce Lee was so impressed that he hired Lam as his personal assistant. Lam was 19 at the time. Lam started to work as an co-action choreographer, and personal assistant to Bruce Lee on Lee's movies including The Big Boss, Fist of Fury, Enter the Dragon, Return of the Dragon, and Game of Death.In his youth, Lam seemed to have quite a temper and always got into fights. During the filming of "The Big Boss", Lam was arrested for fighting, and Lee had to bail him out of jail. Despite having little education, Lam impressed Lee with interesting philosophical discussions. Although they hardly talked about their relationship, Lee liked good conversations, and this self-willed young man soon became Lee's favorite. When Lee died, Lam was devastated. He later joined Hung's stuntman association (known as the Hung Kar Pan). Lam worked behind the camera as assistant director and became Sammo's right-hand man of the stunt team. His talent as an actor and martial artist was revealed in The Magnificent Butcher. Lam played the fan-wielding assassin who fought against Yuen Biao. In 1982, Lam won the Hong Kong Film Award for Best Action Direction, in the film Prodigal Son. Prodigal Son featured what is widely acknowledged as among the best Wing Chun caught on film, performed by Lam. Lam played the strict kung fu master Leung Yee Tai. This was probably his most historic role. Lam even shaved his own eyebrows to give Master Leung a more feminine portrayal. He was able to bring a cool, sweet quality to this sharp and hard-nosed character. He also played a frail, elderly Taoist priest in The Dead and the Deadly (1983). Lam's star did not rise until 1985, with the release of Mr. Vampire, the movie that fueled the hopping vampire genre. Lam was nominated for Best Actor for his role as the Taoist priest. The character was an engaging mixture of naivety and stoic authority, and became a favorite for audiences. Lam was to reprise this role many times throughout his career. Shortly after the release of Mr. Vampire, the Golden Harvest film company attempted to make an English version of the movie with Tanya Roberts (of Charlie's Angels) and Jack Scalia. 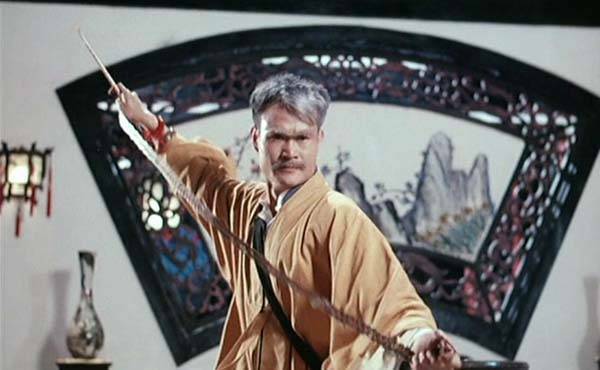 Lam's role was played by long time kung fu film actor Yuen Wah. Due to various difficulties, the film was never made. He also appeared in different movie genres such as The Return of Pom Pom (1984), School on Fire (1988), Painted Faces (1988), and Her Vengeance (1988). Lam proved that his dramatic acting skill was just as good as his kung fu skill. It is argued that whether the huge success of Mr. Vampire was the best thing happened in his career because it forever typecast him as the vampire slayer. Yet Lam had many heartbreaking and mind-stirring portrayals in other movie genres. In 1989, Lam directed his first movie Vampire Vs. Vampire. The movie starred him as the usual One Eyebrow Priest, Chin Siu Ho and Liu Fong as his naughty disciples. Due to the production cost going over budget, he didn't take his director's fee. The movie showed light of his moving-making style which was prone to realistic fights and dark humor. The movie didn't become a huge success, but his candor made people re-think the purposes of film-makings. It also suggested new ideas in the genre which later influenced other Hong Kong ghost movies. Vampire Vs. Vampire offered a new look about the encounter between Chinese and Western culture. The One Eyebrow Priest also raised a vampire kid in his own house. This went against traditional rules of Maoshan Taoism. Even until now, people often find Lam Ching Ying's shadow in later Chinese ghost movies. The success of Mr. Vampire eventually became burdensome on Lam, who found himself typecast in the role. As the Hong Kong movie industry began to experience a decline, quality roles for Lam also began to dry. However, he continued to take on his usual role as the Taoist priest as well as supporting roles in low budget movies. In 1990, Lam became the film producer for Magic Cop (1990), a underrated action movie. He starred in and action directed the movie. The fight scenes between him and the Japanese again showed his excellence as an action choreographer. Some of his other ghost movies during these years are Crazy Safari (1991), An Eternal Combat (1991), The Ultimate Vampire (1991) Spiritual Trinity (1991), Mad Mad Ghost (1992), Banana Spirit (1992). Again, his serious acting side can be seen in Pom Pom and Hot Hot (1992), Lover's Tear (1992). He had supporting roles in these movies, but his roles are very memorable. In 1995, although the film market was in a depression, ATV offered Lam the starring role in a television series called Vampire Expert (殭屍道長). He was hired with a million HK dollars salary to work in the series. It was a far cry from his time as $HK60 a day stuntman. The series was a success and revived Lam's career. The story followed Mo Siu Fong (Lam Ching Ying) who destroyed ghosts and saved the day. During the filming, Lam developed a relationship with his co-star Kingdom Yuen. In the series, Yuen played a female priest who fell in love with Mo Siu Fong (Lam Ching Ying). At the end of the filming, they were actually in love. The second series was filmed and aired in 1996. The series starred Lam Ching Ying again as the humble priest, Mang Hoi, Frankie Lam and Annie Man as his disciples. Like the first series, the second series received high rating and support from China, Hong Kong and Taiwan. Soon after that, Lam signed for another TV series called Coincidentally (情定阴阳界). 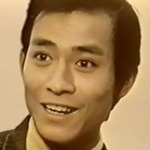 The series borrowed the cast of Vampire Expert and had Lam in a supporting role. Lam played a priest who tried to prevent a man from becoming a cruel spirit. However, this series didn't mark the end of his career. Lam's last role was in A Monk at Thirty (一枝花和尚). The role was so heartbreaking that many of his fans doubted he was actually playing his own death. In 1997, production on the third series of Vampire Expert began. The production was halted because Lam passed away. Contrary to rumors that the cancer was caused by years of heavy drinking, the cancer was hereditary. Lam Ching Ying married Cheng Bing Bing in 1983. They had two children, a son and a daughter. The children loved to watch their father's movies. The couple divorced in 1988. Child custody was given to the father. Lam sent his children to the U.S to study. "In fact, he was sick. I always knew it. But he didn't want to be disturbed, so he moved to a place where no-one could see him. I also didn't allow me to visit him. Before leaving, he said: "I cannot stay by your side anymore. Take good care of yourself. If you have problems, ask your brother to help you." I was reluctant to let him leave, but I respected his choice. He was the kind of man that when he decided something, it would be impossible to stop him... As an actor, he wanted people to see the most beautiful, brilliant moments. He didn't allow me to visit him. Because he knew that if I had seen him like this, it would have been very painful"
During the summer of 1997 Lam had been repeatedly going to the hospital for tests. Rumours were spreading that he had liver cancer. He stubbornly insisted on leaving the hospital immediately and finishing his job, unwilling to be hospitalised. He received worried phone calls from friends, but he told them not to listen to gossip. "One time I had to break through a 10 ft glass wall and before that, I had to work on a ship to jump from the 2nd floor to the 1st floor. Everyone knew it was a painful shot. Hung Kam Po wanted me to do that job. But Lam refused to let me do that and he took that action…it was really a big pain shot. He was hurt after he did that shot. Like what I said before, working as a stuntman in the 80s is like a family and there is no selfishness. He was very kind to me, even in a later movie, he found me for the main actor. He really took care of me. He had the spirit. He was not a smooth talker. But he used his brain a lot. He taught us not to be lazy, to give 100% every time, no tricks. He set a very good example to us. He had a good heart for movies, even when he was sick at the end of his life. He didn't show to us he was in pain. He was even shooting a movie with us. I think he is really the real hero. I miss him very much." Lam broke up with his girlfriend Kingdom Yuen. Two weeks before his death, Lam moved to his sister's house. He refused visits from his children and friends. Lam started to lose his consciousness over an over again at the beginning of November. His family moved him to the St.Teresa Hospital in Kowloon. He was already in a semi-comatose state, and his situation gradually declined. On November 8, 1997, Lam died at St Theresa's Hospital in Hong Kong, due to liver cancer at 12:30 am. Lam's request was to have a low-profile funeral. His funeral was attended by his parents, close family and school-mate friends. The Buddhist ceremony was held in the evening of the 13th at around 7 am. His Priest robe, shoes and top-hat were buried with him, along with his favorite clothes and sunglasses. Lam's pallbearers were Yuen Shiu Hung, Chin Yuet Sun, Ng Ming Hoi, Lam King Chu, Chan Wui Ngai, Chung Fat, Sammo Hung, Chan Wing Hong, Chin Kar Lok and Wu Ma. "One Smile Returns To The West"
The first series of My Date with a Vampire produced by ATV was dedicated to him, and the entire series was loosely based in the future of Vampire Expert. The 2013 Hong Kong horror movie Rigor Mortis (film) is a tribute to Mr. Vampire, and one of the stars is Lam Ching-Ying's fellow co-star in that film, Chin Siu-ho. goodness! i'd completely forgotten about prodigal son, one of the first kung-fu flicks i watched as a child! In 1982, Lam won the Hong Kong Film Award for Best Action Direction, in the film Prodigal Son. Prodigal Son featured what is widely acknowledged as among the best Wing Chun caught on film, performed by Lam. Lam played the strict kung fu master Leung Yee Tai. I loved Prodigal Son - and as said in the blurb, it is indeed one of the better Wing Chun films. I wonder if anyone noticed this line - buried in the West and "Returns to the West" - could it be a deliberate pun? I understand the line 一笑归西 "One Smile Returns To The West" actually means to "ascend to the heavens" 归西 with a smile 一笑. Loosely translated, it would mean to die peacefully, (relatively) painlessly, and contentedly - hence the smile. Your Chinese is very good. I guess it's a deliberate pun! I really enjoy his series. Magic cop I thought was really good. Really enjoy vampire expert one and two. I notice even though he is young, he always plays older roles. Very sad story at the end of his life.